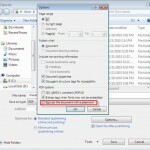 Free Download PowerPoint Viewer 2010 to open and view any presentation file without having Microsoft PowerPoint installed on your computer! 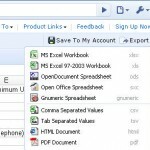 Microsoft has released this free PPT viewer, as the launch date for office 2010 application suite is almost here. We had earlier told you about the free PowerPoint Viewer 2007, and it has been available for free download for a couple of years now.Since Microsoft has now released PowerPoint 2010 Viewer, we recommend you to download this release. This free presentation Viewer is useful when you don’t have office 2007 or Office 2010 installed on your PC. You could use the free PPS Viewer to open and scan through any file created using PowerPoint 2010 or any earlier version. Like PowerPoint 2007 Viewer, this free PPT Viewer lets you view presentations created using PowerPoint 97 and later versions. It can also be used to open password-protected PowerPoint files.This is ideal for those users who need an application for the limited purpose of opening and sliding through the presentation slides in its full glory, with graphics, animations, sound effects and more. It could also be the ideal software for the top management to review the presentations prepared by their subordinates, and offer suggestions for improvements. 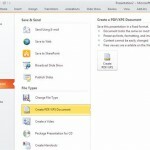 Free Download PowerPoint Viewer. It is currently available in English and Microsoft is expected to soon the release the free tool in other languages as well.Until then, non-English speakers could download and use the free PowerPoint 2007 Viewer available in their languages. To install the software, double click the downloaded executable file. Once installed click Start > All Programs > Microsoft Office PowerPoint Viewer 2010, to start the program. Though it takes time to open large presentation files, you can use the same mouse and keyboard controls that you are familiar with in Microsoft PowerPoint, to navigate through the slide-show. For eg., you may left click on the mouse or press Enter on the keyboard, to move to the next slide. If you are done with viewing the presentation, press the escape (ESC) key to end the presentation. Enjoy the free PowerPoint Viewer 2010. I have not been able to download your PowerPoint Viewer 2010. I try to solve a problem I have with PowerPoint Viewer 2007 : Impossible to view a stand alone looped presentation, as soon as it reaches the last slide, it stops instead of looping back to the first. Why aren’t you able to download it?